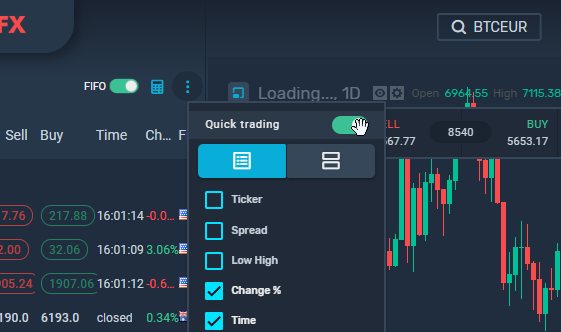 Quick trading allows you to open an order with just one click, without any additional confirmations. 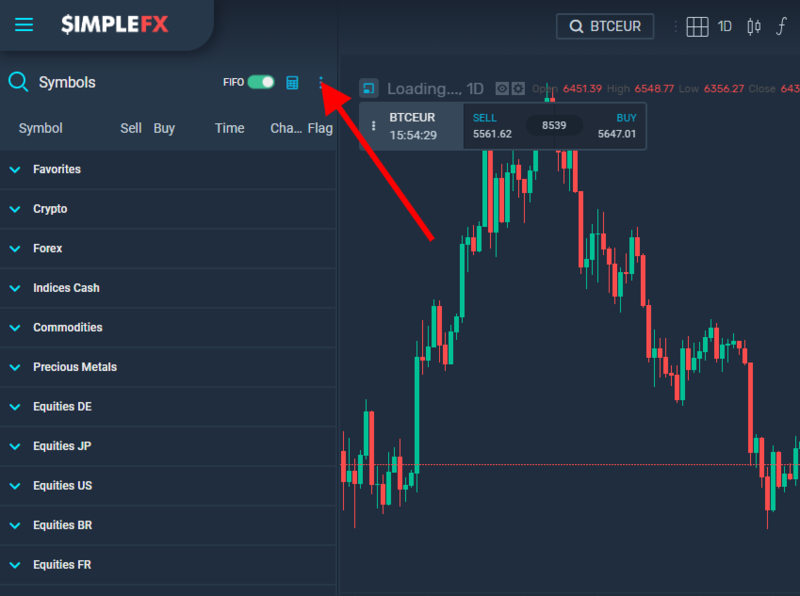 To enable it, click on the more options button at the top right corner of your screen and turn on the “Quick trading” radio button. You can also do it in app settings. 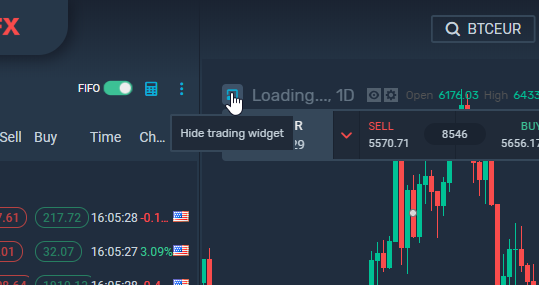 Click the main hamburger menu in the top left corner of your screen, go to settings, choose “Trading platform” and turn on the “Quick trading button”. 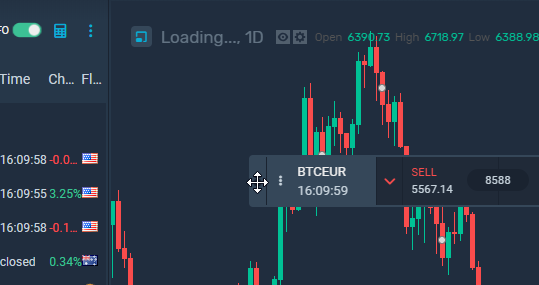 The quick trading panel is available in every newly opened chart. It is docked in the top left corner of the chart. and then clicking "show floating widget". Now you can move the widget around by grabbing its left corner. You can switch between charts but the panel stays where you left it. Let’s go through the most important panel functions. 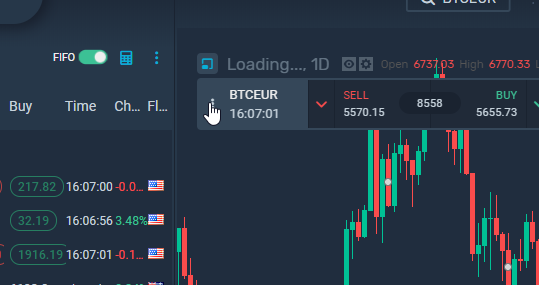 In the center, there are big buy and sell buttons for placing quick market orders. Just click one of them to open a long or a short position. On the sides, there are two arrows for placing a quick pending order. 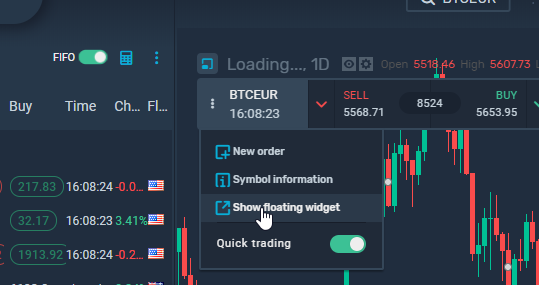 On the right side you can adjust a trade size of orders. Just fill the price and send it. As you can see, pending order was opened. Click “Symbol information” to open a window with the instrument’s detailed data. 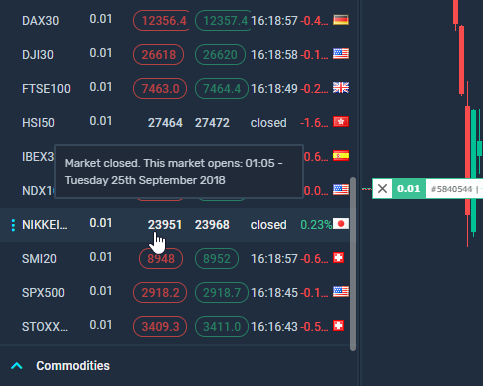 On the trading list on the left, the color of the buttons shows if the market is open or closed for trading. A closed market turns grey. 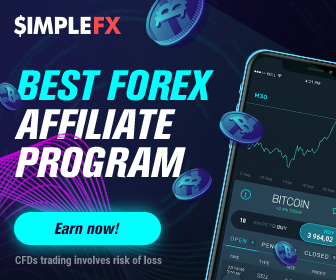 If you have any questions, contact our Support Team with the chat in the bottom left corner of SimpleFX WebTrader app. 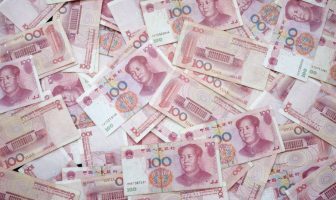 Next Article What are the odds for ETH value to go down to zero?